Click on album cover to go to Kathy's review. 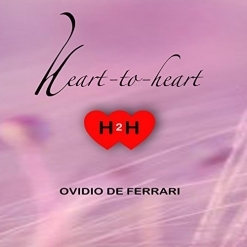 One of my favorite albums of 2017 was Heart To Heart by Ovidio De Ferrari, a pianist/composer living in Dubai. 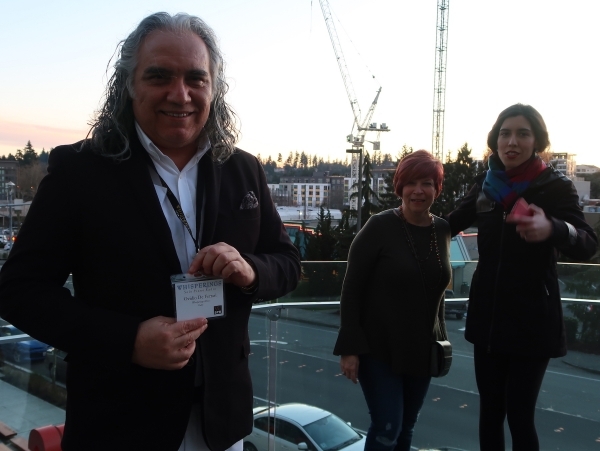 We had a nice correspondence going via email, and I was really excited to learn that Ovidio was going to travel to the Seattle, WA area for the Whisperings Solo Piano Radio weekend in early March of this year. When we met up at the “meet and greet” the first evening of the weekend, we hit it off right away. 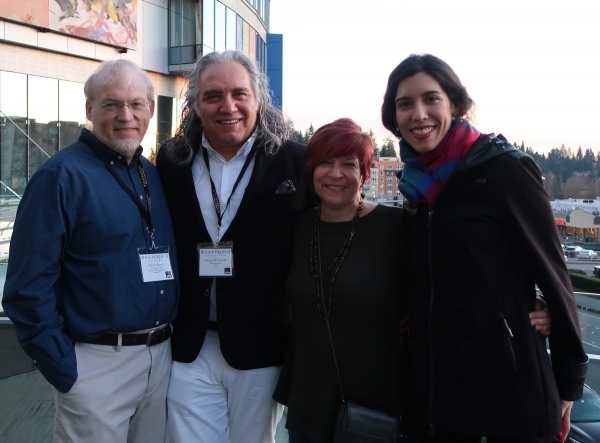 Ovidio, his daughter, my “roomie” Pam Asberry, and I spent as much time as possible hanging out and getting to know each other, but the weekend was over much too quickly. Ovidio and I had started this interview before the Whisperings weekend, and finished it up shortly thereafter. Enjoy!!! KP: Hi Ovidio! How are things in Dubai today? ODF: Hi Kathy! Dubai is changing every day! The more I think about the city, the more I believe I made the right choice 24 years ago when I arrived here. At that time, the city was starting to grow very fast. I never experienced anything like that in my life. I have lived in more than 40 cities around the world for short periods of time. I will call Dubai The City of the Arab Dream. Opportunities happen every day, although, the cost of living is getting higher. 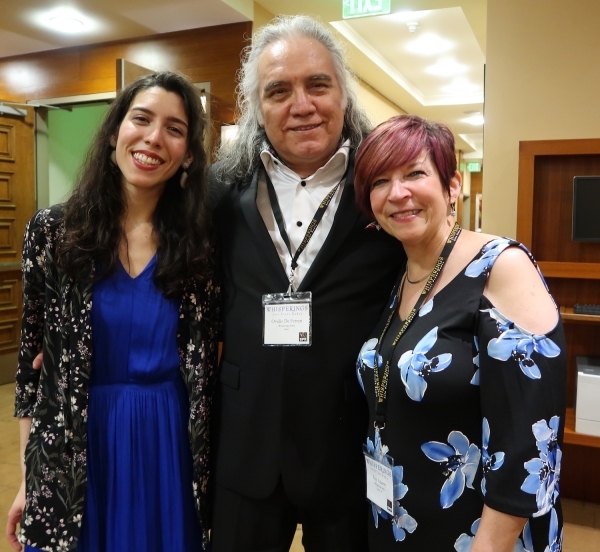 KP: I am SO glad I had a chance to meet you and your daughter, Isabelle, earlier this month at the Whisperings Solo Piano Radio weekend in Seattle, WA! Did you stay Stateside for very long? ODF: I had never been to Seattle before and was in the US only for the days of the event (too much to do here in Dubai and too cold to stay there in Seattle, ha-ha). KP: Yes, the Pacific Northwest isn’t known for its sunny weather! I wish I could have heard you play the piano live, but I’m sure there will be a next time. Isabelle is very charming. ODF: Kathy, you can’t imagine how much my fingers wanted to run to the piano. This is the first time I attended an event abroad and didn’t perform. I was a very careful listener and we, Isabelle and I, learned a lot with every artist we met. During those wonderful days I had a mix of beautiful emotions. One of them was the reunion with Isabelle. I didn’t see her for the last two and a half years. She is indeed very charming and she became a beautiful lady. I’m so proud of her. KP: Do you have other children as well? ODF: I have another daughter and one son from my previous marriage; Natalia and Franco. They live in Chile. KP: Your most recent full-length album, Heart To Heart, was one of my “Favorites” for 2017. How is the album doing? ODF: Thank you. Picking my album as one of your favorites means a lot to me. I’m practically a beginner when it comes to publishing and marketing my own music. I have contacted some people, and some contacted me, but I am still working on whom to engage myself with. Otherwise, the music is doing really well. I was nominated for Best Artist of 2017 in my category in one of the music awards in LA. Since I wasn’t sure about the legitimacy of the award, I didn’t attend the event, but I won the award. I have also received the attention of many new followers on the internet, especially on internet radio stations. KP: How many albums have you released to date? ODF: Around 20 years ago, I published in Chile several albums with music of other artists as instrumental versions. My new album, Heart to Heart, is the first published album with my own compositions. Many factors were the trigger for this new venture. I’ve been mentoring many hundreds of piano students in my school in Dubai since 2000 and I compose music for them all the time. They encouraged me to record and show my music to the world. KP: That’s an interesting twist - usually it’s the teacher who encourages the students! How wonderful that your students have music you have written just for them! Do you have any idea of how many of those pieces you’ve composed? ODF: I never count them, but I guess more than 300 pieces. KP: You are a Bluthner Piano Artist and Ambassador for the Middle East. What does that mean? ODF: Being an ambassador of Bluthner pianos here in the Middle East entitles me to use them everywhere. I play and promote the brand (my first piano was one of them). It has given me a lot of fun and fans. 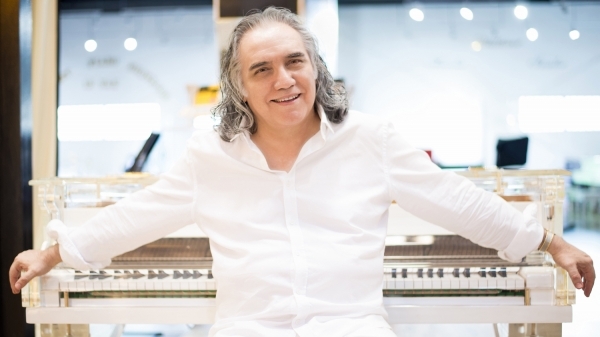 I work closely with the biggest dealer of pianos in the Middle East (he is the dealer of the two biggest piano brands, Bluthner and Steinway). 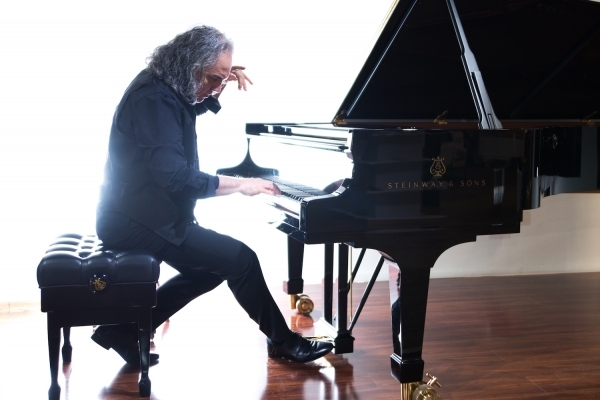 Apart from having great pianos to practice and record with, to be able to make all my concerts and gigs with the best brand in the world is just incredible. It has also helped me to gain a reputation in the region working in collaboration with government and other cultural entities. ODF: About the wine, please don’t forget that next time. Ha-ha! We had such an anxious hunger time waiting for the pizza! ha-ha! We enjoyed that evening with you and Pam. It was great to get to know both of you. KP: It was definitely fun! You recently formed your own orchestra. Tell us about that. 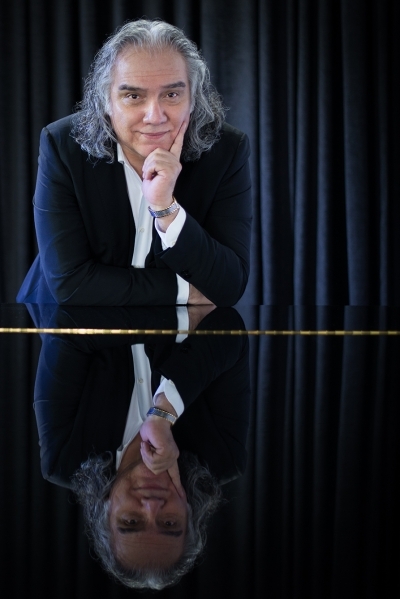 ODF: Our new orchestra came alive a few years ago after I worked as a conductor of the Dubai Chamber Orchestra which gave me the chance to meet many musicians in town. We play the music of the world (Arab, Indian, etc.). Dubai is one the most cosmopolitan cities in the world. KP: Do you compose orchestral music in addition to piano music? ODF: I do it only upon request. My last work was to compose the music for six poems by the ruler of Dubai (He is a poet as well), Sheikh Mohammed bin Rashid Al Maktoum. The symphonic poems were written for a 100-piece orchestra and 100-voice choir and were recorded by the Symphonic Orchestra of Chile and the Symphonic Choir of the University of Chile. KP: Interesting! Let’s find out more about your background. Where were you born and where did you grow up? ODF: I was born in the second city of Chile, Iquique (beautiful beaches) and grew up in the first city of Chile, Arica (The city of eternal spring). KP: Do you come from a musical family? ODF: Oh yes! As far back as I can remember, there was music at home. My mother was a piano teacher, my father a music artisan, my aunties and uncles played violin and piano, and I have two musical brothers. To me, the whole world played the piano! (That’s what I thought, at least!) I recall those visions from the very beginning. I probably cried when I realized that only a few people play music in the world (he-he). My mother used to say that she didn’t know when I stopped making noises and started making music. KP: Do you play other musical instruments as well as piano? ODF: I play guitar, accordion, harmonica, charango, quena (Chilean folk instruments) and some drums and Latin percussion instruments. All these instruments, other than violins, cellos and piano, were required in our home “Tertulias” (musical evenings). KP: Wow! How often did you have those Tertulias? ODF: At least once a week and I have kept that tradition going. I can’t imagine my life without these evenings. These are my parties. No discos, bars or restaurants can replace that. We normally have dinner, talk and play music. KP: How old were you when you started playing the piano? When did you start piano lessons and how long did you take lessons? ODF: In the beginning, my mother didn’t want for us to become musicians. She was a piano teacher, an accountant and a very strong woman. What she saw in those years of evening parties wasn’t exactly what she had in mind for our future. Those days, musicians were heavy bohemians (today also! Ha-ha) and sometimes losers. Fortunately for us, we changed her mind by showing her our talent to play, sing, improvise and compose music. I started to read music at age 15. I paid a big price to be able to read and write music. When I was young, I didn’t quite understand why me at 4-years-old was talking and making full phrases like “Mum, I want to go to pee” and then I have to start the school (me at 5) and start reading and writing the same phrase, but this time very slowly and in a very painful way. I know now, you don’t need to read and write a language to speak, sing or to be a poet. You don’t need to read and write music to become a musician or even a composer. KP: Were you encouraged to improvise or compose by your music teacher(s) or anyone else? ODF: I was in an environment of musicians who treated me like a monkey with no ears at all. I learned the hard way. I remember one of my uncles getting so annoyed because I couldn’t hear the difference between a major seventh and a minor seventh chord. I was 6, for God’s sake! KP: Yikes! That’s really demanding for a little kid! How old were you when you wrote your first song? ODF: I was possibly 8 or 9 when I had my first records. My father had one of those big, old tape recording machines but I lost all of the tapes. Before that, I was messing around, having fun imitating singers, pianists, comedians and so on. KP: When did you establish your teaching studio? ODF: I opened The Ovidio Music Institute back in 2000 within Dubai. KP: Is piano the only instrument taught in your studio? ODF: We have the piano as the main instrument, but we offer violin, guitar and flute lessons as well. KP: Are there many other teachers there, too? ODF: We are a team of 6 people (5 teachers and our secretary). We are all teaching and working as partners. I have an unconventional idea of running a business or a company. KP: What is different about it? ODF: I’m a sole proprietor of a company and during all these years (17 years now) I found a team to work with. We help each other to earn our own reputation and money. I am not a business man and I don’t pretend to be. I’m happy to share my world and part of my success with others. I called my team my family. We help each other working in collaboration and in peace to make a difference. KP: It seems like the number of children and teenagers interested in learning to play the piano is getting smaller all the time here in the US. Is that true in Dubai as well? It is really difficult to fully engage students and to get them to commit to years of practice when so much of what they do is now instantaneous and so much easier than learning to play the piano well. ODF: I absolutely agree with that. There is definitely a big gap today between the traditional music method and how the millennials are interested on learning to play music. With the short span people usually have these days to commit on a daily basis to do a proper job (bad internet influence), the more difficult old training methods will continue to decay. That is why I developed an alternative piano system that gives the students a sense of musicianship from the very beginning. In UAE, everything toward world music education and world music presence is new and that is an advantage I’m taking. There are many new people interested in music but again, due to the poor understanding of this new era, the new mentality of new people and the lack of understanding of the new music technology available, teachers will continue to fail in the effort to engage new potential musicians. Was there ever someone in the past who spoke and wrote in the Latin language who would have believed it could be obsolete in the future? It will be the same with the music system (my personal view). KP: Fascinating! We’ll have to talk more about that. Can you summarize how your system of teaching is different? ODF: I developed an alternative music system based on shortcuts to play music in the same way you walk, run or talk: Naturally. The intelligence, or at least the way we were taught at school to think and understand music is not required. This is a monkey business! I can make a monkey to play! (joke!) I use a specific technique for the two hands, I encourage the memorization without thinking, but copying and the understanding and use of the elements of theory without a single explanation about it. Also, the ears improve naturally by repetition of the same chord progressions and rhythmic patterns. All that together makes a difference. With the aim of technology and the fresh ideas of how to surpass the hassle of reading and writing music, my system avails that any person who knows the step-by-step basics of “Shortcut to Piano” can play, compose and write music decently in a very, very short time. As I always state, I don’t teach geniuses or people with abilities; they can find their own way even alone watching tutorials. I teach normal people with real interest and excitement to try something completely new without fear. ODF: I’m a graduate from the University of Chile as a Music Teacher (5 years) and studied 3 of 5 years of a post-graduate career, Licentiate in Composition (I never finished it). I was an ordinary teacher struggling for survival in hard times in Chile (revolution), working in many schools from the age of 17 and for practically no money. I actually was forced to leave the country for survival. KP: Wow! Where did you go? Did you continue to teach? ODF: I first left to Asuncion- Paraguay and was invited to open a new venue in a newest hotel owned by one of the richest business men those days. KP: What inspired you to start recording your music? ODF: That is a beautiful question! I have been a musician mentor for many people of many different ages. I have proved to all of them how easy it is to play and feel as a musician even if you don’t have the ears for it. From a mentor, I became a “mentee.” I started listening and learning from them which music they really like, their favorites. Any person, no matter the background or profession, from a general manager to a construction laborer - it works all the same – they all can play piano. At first, I teach them to play, feel and enjoy music (I make sure they will keep the music in their lives forever), and then after a short time they teach me what to compose, what the people like, what the people want to hear, etc. KP: Do you perform in concerts very often? ODF: Not as often as I would like to. I have other business to take care of, but yes, we have an orchestra of 25 musicians. We do a concert at least once a year. We perform for some corporate events during the year. 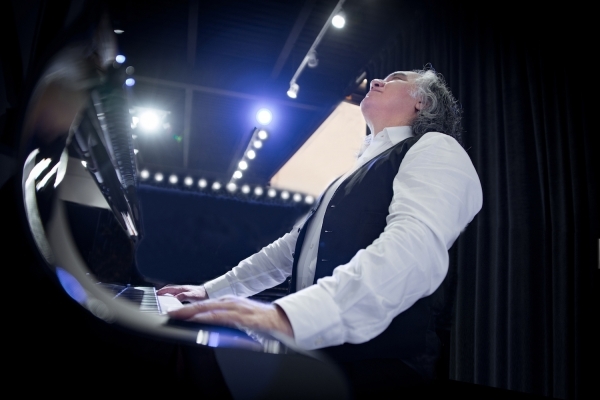 As a solo pianist, I usually play in schools and other meaningful evenings at least once every two months. KP: Who or what are your biggest musical influences? ODF: When I need a coffee in the morning, I listen to the music of Bach. When I need to get inspired, Mozart. When I want to create an especially emotional piece, I will probably dig into the sheets of Beethoven. These are my biggest musical influencers. KP: What inspired you to start composing your own music? ODF: It is a force. I don’t understand where it came from, but I assume it started on me because of my environment. I love to make people emotional and happier. I don’t have to think too much to start the creative process. I only have to think of something for few minutes and my mind will do the rest. Almost immediately, melodies start running in my mind like musical ideas, motives, words. In recent years, my students would want to play a song of their choice especially written for piano. On many of these specific requests, the song is a classical piece sometimes written for an orchestra, or the books of those classical pieces that are written as the composer wrote them (not simplified), with every single detail and not easy to play. Popular pieces, on the other hand, they simply exist in books that are written, almost every time, for an electric band. So first, I write arrangements of the music they want to play in their level and secondly (profoundly touched by this), I would compose by request, a tune in their level and with similarities based on their own tastes. Finally, when they usually fall in love with my music, they become my first followers and my inspiration to start making the recordings. KP: That’s such an interesting story! Have you done any composing for films and/or TV? ODF: Not yet! I wish! They haven’t discovered my music or I have no clue how to reach them (ha-ha-ha!). KP: What has been your most exciting musical moment or experience so far? ODF: I lived for one intense year in Paraguay as one of their most famous artists back in 1985. I had such an incredible success. I was too big for my boots! The success went to my head. At the end of that year, I went to NY for one and a half years, partying every night. When I went back to Paraguay, I had lost all credibility as an artist. Although NY back in 1986 was very exciting, it was full of drugs and corruption. I played in many famous venues, recorded a single with two tunes from one of the composers of Julio Iglesias' music. As a result, people would compare me with him (I had lots of attention, but it didn’t take me anywhere). I was singing and playing the piano those days. ODF: Yes, definitely! If you take, for instance, the English language as an example, a word like “hello” will mean the same for every person who understands that language. If we understand music as a language, a word could have billions of definitions, meanings and translations to the billions of people who exist on earth. We as composers don’t have a clue what our music is actually saying to a particular being. Although we have some ideas, many people will have different impressions. In my case as a composer, and specifically with my piano music, I would define my music as minimal (simple melodic tones and harmonic elements with a bit of rhythmic elements in the texture). I’m in the infinite search of the perfect melody. In my opinion, the majority of composers didn’t and don’t find their muse in their life span. Mozart, the most prolific and talented composer of all, probably discovered around 10 to 20% of his muse in his entire music production. My philosophy is that every human should be a musician and live with it as its happiness depends on it, to make music a way of living, thinking and acting, to listen to the world and to learn from that common sense inexhaustibly. KP: Wow! Who are your favorite composers? ODF: Mozart! He knew somehow, how to talk to people as the parent who talks to his/her child. KP: Who are your favorite performers? ODF: The ones who perform with his or her inner voice. ODF: 1. John Kennedy alive and forever. 2. Everybody in this world to have a voice and a choice. 3. The human to act and make decisions with his heart, not with his brain. ODF: My next album and the next Whisperings weekend (he-he). KP: I’m looking forward to that, too! Is there anything else you’d like to “talk” about? ODF: Oh yes! I’m afraid they won’t read it, though! (…too long). If I ever have a chance to write a book, it will probably be about the thousands of beautiful and hard experiences in my many trips that now make me laugh (he-he). KP: That would be a VERY interesting book!!! Many thanks to Ovidio De Ferrari for taking the time to do this interview! 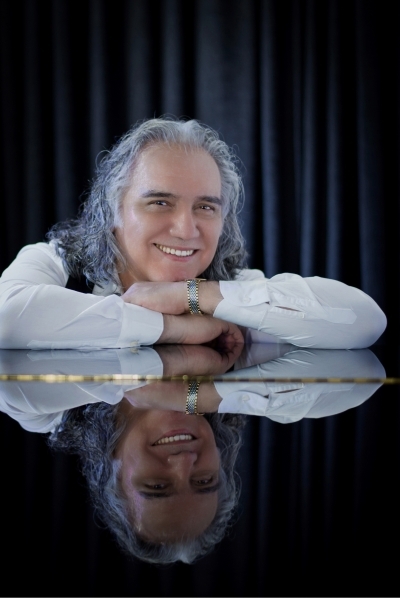 To learn more about Ovidio and his music, be sure to visit his website and his Artist Page here on MainlyPiano.com.